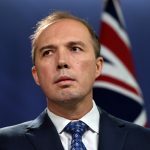 The news that, behind our backs, the team that signed us up to the greatest betrayal of this nation by its own government since federation – the Paris Agreement on climate change – has been secretly co-authoring a new treaty that will rob Australia of its sovereignty and border security is beyond belief. Yet that is what has been happening: the Global Compact for Migration is officially in the works. The Global Compact for Migration contains an affirmation of respect for national sovereignty that would have to be the world’s finest example of dissembling claptrap. It means nothing. Also bereft of meaning is the argument that this pact is benign because its provisions are not enforceable. They don’t need to be. They work by encouraging governments to pass laws that the UN considers to be correct. Without change, Peter Dutton is right to reject this pact. Signing up would permit the UN to make Australia a whipping boy for deviating from the terms of the compact. Signatories will be subjecting themselves to “inter-governmental measures that will assist us in fulfilling our objectives and commitments”. And that includes re-educating journalists, “sensitising” them about migration-related terminology, manipulation by governments designed to “shape perceptions of migration”, the withdrawal of public funding from certain media outlets and investing in “ethical” reporting standards. The big con is the guarantee that signatories will be free to enact their own migration policies. This promise, in paragraph 15 of the pact, is subject to the qualification that this freedom is to be exercised “in accordance with international law”. For the OIC controlled UN, “international law” means sharia. This form of words, which is peppered throughout the compact, might seem innocent, but it’s not. It invites some UN committee of experts to decide which Australian laws are in accord with international law. Malcolm Turnbull and Bill Shorten should have nothing to do with this — unless they are happy to make the UN the arbiter of Australian law. This is a key measure of sovereignty and it resides exclusively with those who vote in Australian elections — and that is where it should stay. Politicians will always opt to join the larger gangs; that way they will have more extortion-powered rights and less personal responsibilities towards their own electorates.